Triumph Lingerie SALE 2014 offers Triumph bra collection from cleavage, invisible, support, shape sensation, comfort, night dress, briefs, swimwear, bikini and more with selected sizes and items at up to 70% off at Triumph's first lingerie fair. Triumph Lingerie Singapore 2014 fair with sale offers, discounts and promotions is at Singapore Expo Hall 3A from August 29th to 31st, 930am to 9pm. Payment is by major credits and cash. Share this with your BFFs now ! The Body Shop Warehouse Sale 2014 Singapore offers popular Nutriganics, Moisture White Shiso, Tea tree, Vitamin C, E, seaweed, pomegranate and aloe range with selected items on sale. Take your pick from fragrances, skincare like cleanser, toner, scrub, serum, eye gel, moisturiser, masks, cosmetics - foundation, powder, lipstick, blusher, eyeshadow, mascara, eye liner, concealer, bronzer, haircare - shampoo, conditioner, hair mist, mask, leave in conditioner and body care like shower gel, body butter, body lotion and mist at up to 70% OFF . 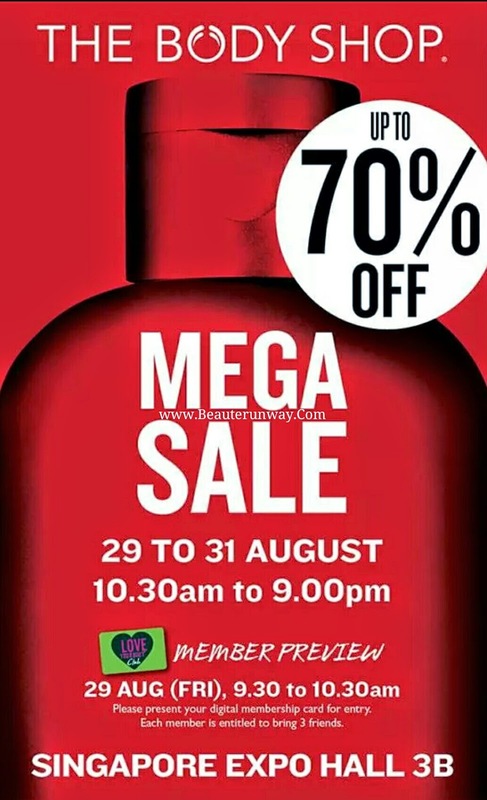 The Body Shop Singapore Mega Sale 2014 with warehouse prices and discounts offers is located at Singapore Expo Hall 3B, from 29th to 31st August (Friday to Sunday) from 10.30am to 9.00pm daily. TBS Love your Body Members enjoy the usual preview on 29th August at 9.30am to 1030am with three more friends. MasterCard, Visa. Nets and cash are accepted at The Body Shop SALE 2014. Happy The Body Shop Hauling. 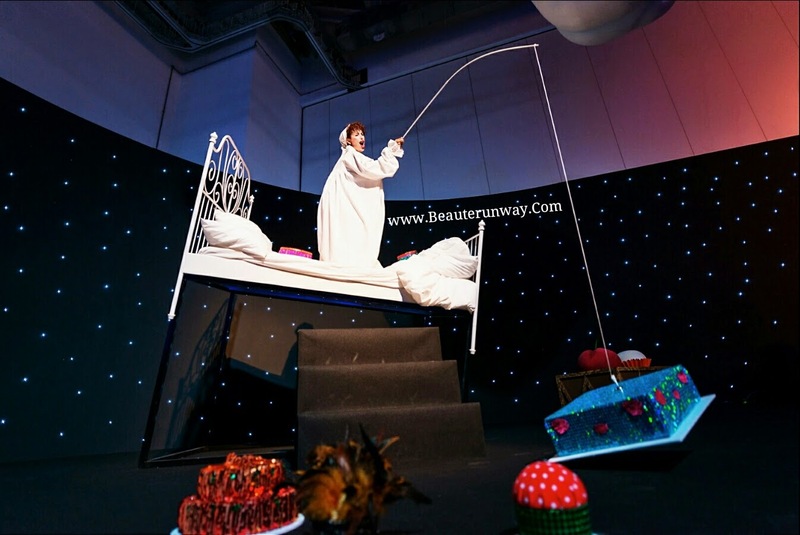 Do share this sale with your friends and like BeauteRunway fan page https://www.facebook.com/pages/Beaute-Runway/209643823320 for more updates. 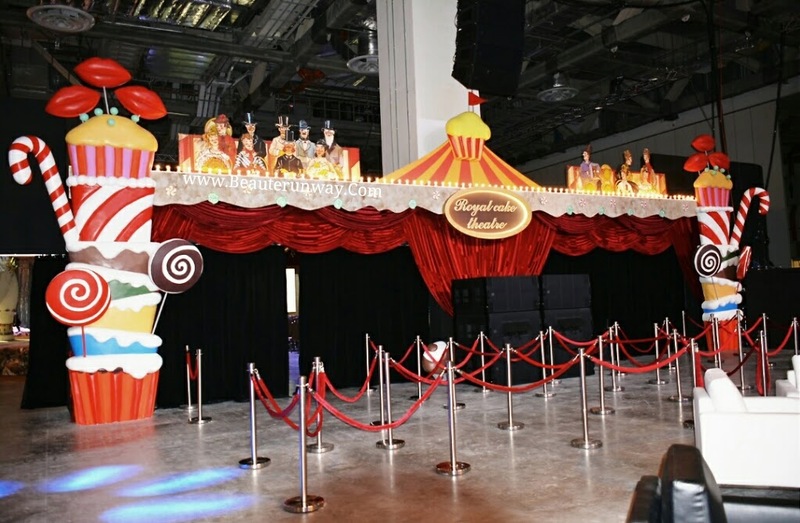 Triumph﻿ SALE 2014 Lingerie Singapore Expo Hall http://bit.ly/1vwu5Zf this weekend too ! Fantasia by Escriba marries fantasy, artistry and theatre, transforming Marina Bay Sands Singapore Convention Hall D and E into a magical gastronomic visually spectacular wonderland with Guinness World Record worthy Callebaut chocolate waterfall fountain towering at 8.5 metre, vivid life size edible wildlife safari confectionary, 5-metre-tall multi-tiered wedding cake, savoury rendition of Barcelona’s iconic La Ramblas shopping street with Europe’s most famous theatre group, Comediants at Royal Cake Theatre. 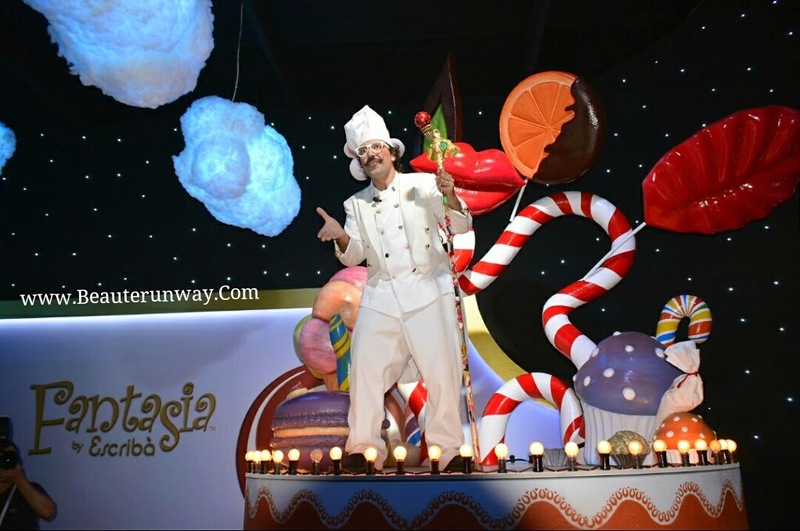 The world’s first Confectionery Theatre Extravaganza - Fantasìa was conceptualised in Barcelona by renowned acclaimed pastry Masterchefs Christian Escribà and Patricia Schmidt who counts luxury brands and celebrities as fans, chose to realise their magical experiential delectable confectionery dreamland with over 30 creative masterpieces displayed across the 8,000m2 landscape, premiering the world class event in Singapore Marina Bay Sands to enthral and interact with children and adult. World renowned master pastry chefs - Martin Lippo, Jordi Farres, Jordi Pujol and Mary Rose Sanchez will be conducting masterclasses in an open De Dietrich with KitchenAid kitchen where budding pastry chefs will be able to participate in Escribà Academy pastry masterclasses . 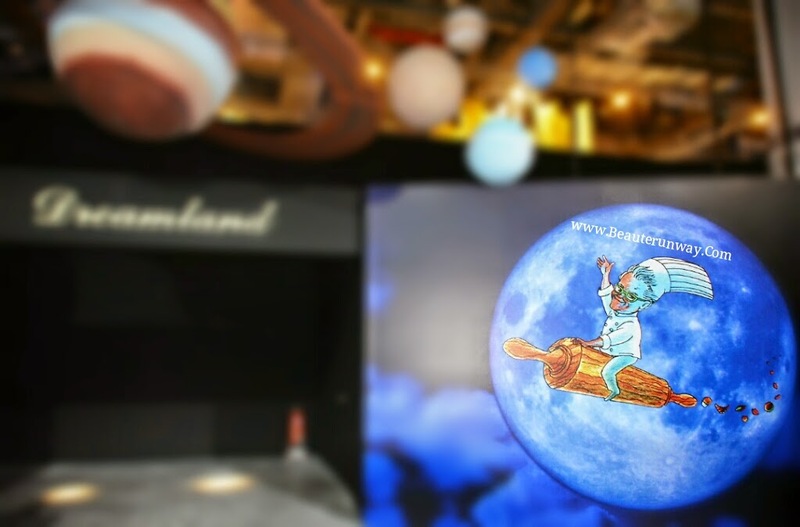 Enter the realm of Fantasìa milky way at Magical Entrance into Dreamland complete with a floating four-poster bed and cotton candied clouds, starry eyed moon savouring delectable pastries, fed by Fantasìa’s colourful characters. The Callebaut Falls, the largest masterpiece takes centrestage with 100 years of heritage Belgian chocolate purveyor Callebaut's signature rich aromatic cascading chocolate fountain using renowned Chocovic cacao , towering at the height of two double decker bus at 8.5 metre to set a new Guinness World Record as the World’s Tallest Chocolate Fountain. 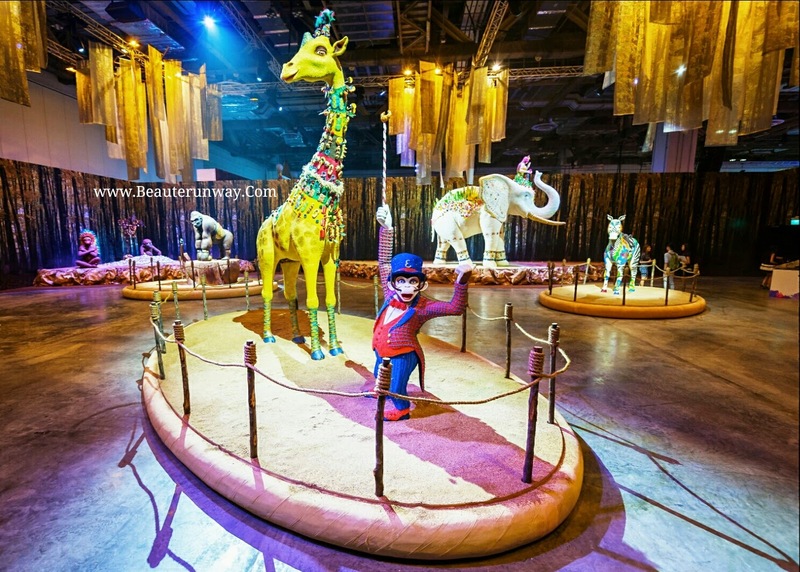 Take a step into the nature wildlife safari realistic life-size confectionery animals like giraffe, zebra, rhinoceros, alligator, tiger, gorilla, gigantic elephant made creatively and meticulously with Massa Ticino sugarpaste from Carma, Callebaut chocolate, meringue and pastries. Waltz into the Tea Room to witness a wedding procession with ringing wedding bells around the 5 metre tall multi-tiered wedding cake and be entertained at Royal Cake Theatre by the Comediants theatrical acrobatic feats and emotive performances choreographed by Creative Director Joan Font I Pujo from 1992 Barcelona Olympics Closing Ceremony fame. 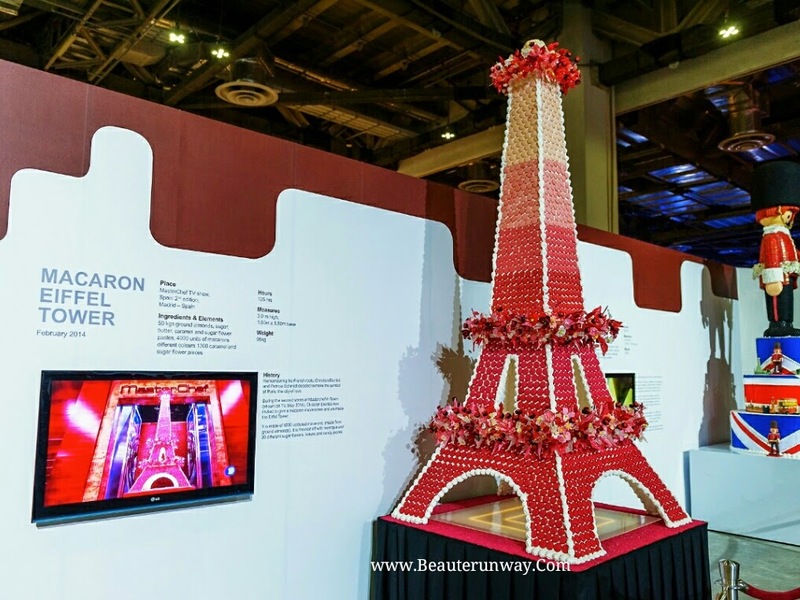 Visit the famed Escribà’s 108-year-old heritage through the History Wall, since 1906 to the days of Christian Escribà’s grandfather Etienne Tholoniat and his father Antonio Escribà’s pastry creations, complete with a realistic visual feast of Escribà masterpieces like the iconic Macaroon Eiffel Tower, London Sweet Guards, golden Faberge eggs cake and meringue sugar crafted jewelled El Bull dog. Shop at the sweet rendition of Barcelona’s iconic La Ramblas tourist spot with Escribà Luxury Boutique pavilion plus haute couture personalised service and a replica façade of the original Pasteleria Escribà, a world heritage site built in 1820. Escribà tee shirts, aprons, chocolate bars, candied flowers , rings and beautiful confectionery high heels makes good gifts. Midnight @ Fantasìa commence at the bewitching hour from10.30pm to 2.00am featuring Ibiza’s best DJs, evocative go-go dancers performances and drink Estrella beer, sip slick Hendrick’s Gin or chill Reyka vodka cocktails from some of Singapore’s best bartenders at the adults-only naughty-yet-sweet late-night show session. National Council of Social Service ComChest’s charities beneficiaries will be invited into Fantasìa by Ecribà to enjoy Escribà's famous chocolate lips and caramel strawberries tasty treats at a special session today. Sponsor a beneficiary at S$48 to bring joyous dreams. Escribà Academy pastry masterclasses with MasterChefs are priced at S$188 per 90 minutes session. Fantasia by Escriba review : It is Alice in Wonderland meeting with Willy Wonkers' Charlie and the Chocolate Factory, a whimsical walk to discover an exciting array of surplus fantasy edible creations, theatrical treats and wonderful chocolate plus confectionery surprises without having to fly to Barcelona. Sweet dreams do come true. plus three food entitlement and a bottle of champagne. Visit www.fantasiabyescriba.com to purchase your tickets now. *Photography by BeauteRunway.Com using Nikon Camera models D3S, D800E and D5200. Visit Nikon Singapore at www.Nikon.com.sg to discover Nikon DSLR, Nikon CoolPix, Nikon 1 and Nikkor lens and more including the all new Nikon D810 and J4. Marina Bay Sands Singapore The Haute! Watch and Jewellery exhibition 2014 showcases the world's most renown and luxurious brands Audemars Piguet, Blancpain, Breguet, Bvlgari, Chaumet, Chopard, Damiani, Franck Muller, Hermés Watch Boutique, Hublot, IWC Schaffhausen Boutique, Leviev, Longines, Mikimoto, Omega, Piaget, Studio Parmigiani, Rado, Roger Dubuis, Sincere Fine Watches, Tag Heuer Boutique, Tiffany & Co., Tudor, Ulysse Nardin, Vacheron Constantin and Zenith. The Shoppes at Marina Bay Sands represents the finest in the luxury world of retail in Singapore with more than fifty prestigious watch and jewellery iconic brands flagship stores. Haute! 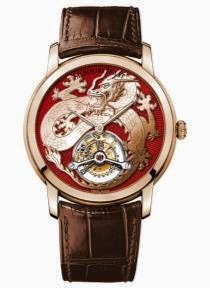 Marina Bay Sands Singapore presents the world’s most coveted timepieces and jewels from luxury prestigious iconic brands, illustrating the history and heritage of the brands, contemporary aesthetics designs and technical innovations behind the precision clockwork. Audemars Piguet Jules Audemars Dragon Tourbillon features a hand-wound Manufacture Calibre 2906 encased in 18-carat pink gold glare-proofed sapphire crystal with hand-stitched Hermes brown alligator strap and 18-carat pink gold folding clasp. There are only eight pieces in the world and Audemars Piguet Singapore Flaghip store at Marina Bay Sands will open next month. Vacheron Constantin Métiers d’Art Florilège collection is the very first Métiers d’Art opus that has been created exclusively for women. 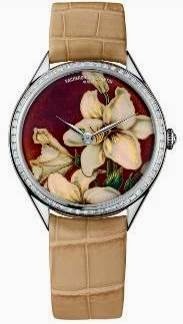 The White Lily in 18K white gold case set with 72 baguette-cut diamonds, is exquisitely crafted by Grand Feu cloisonné enamelling with a transparent sapphire crystal back that reveals the intricate mechanics of the novel manual-winding Caliber 4400. Worldwide availability is limited to only five pieces. (Right) The new Zenith Watches boutique at The Shoppes will display an award-winning timepiece at Haute! Ulysse Nardin Marine Chronometer Manufacture showcases the top-notched Silicium and DiamonSil technology in the classic rose gold, Grand Feu enamel dial crafted by hand and a manual winding, Calibre UN-118 in-house movement. 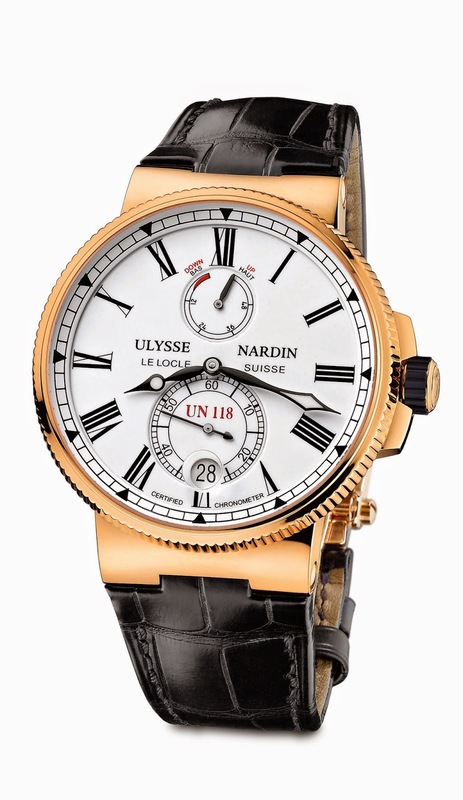 With only 350 pieces in the world, Ulysse Nardin Singapore flagship boutique at The Shoppes have limited quantities available. 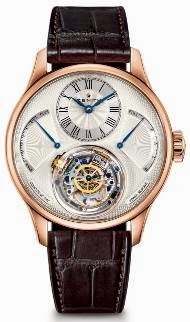 Zenith Academy Christophe Colomb Équation du Temps is an exceptional and entirely hand-finished model with “Gravity Control” gyroscopic module is the winner of the 2011 “Best Complicated Watch Prize”, the star category in the Geneva Watchmaking Grand Prix, the most highly coveted international award in the watchmaking world. Tudor Heritage Ranger brings the conquests of the last century to the present. Featuring the matt black dial with the iconic Tudor Rose domed sapphire crystal, the self winding Tudor calibre 2824 mechanical movement is entirely satin finish with a vibe of unique retro chic and available at Tudor Watches Flagship store at Marina Bay Sands Singapore. Chopard Animal World collection features the masterpiece exquisite pink seahorse necklace in white & rose gold, amidst a sea of pearls with 261.8 carats worth of coloured diamonds, pearls and other precious gemstones. Damiani Sophia Loren jewelry collection features concentric circles from a cascade of diamonds, reflecting the elegance beauty and fascinating glamour of the Italian actress. Haute! 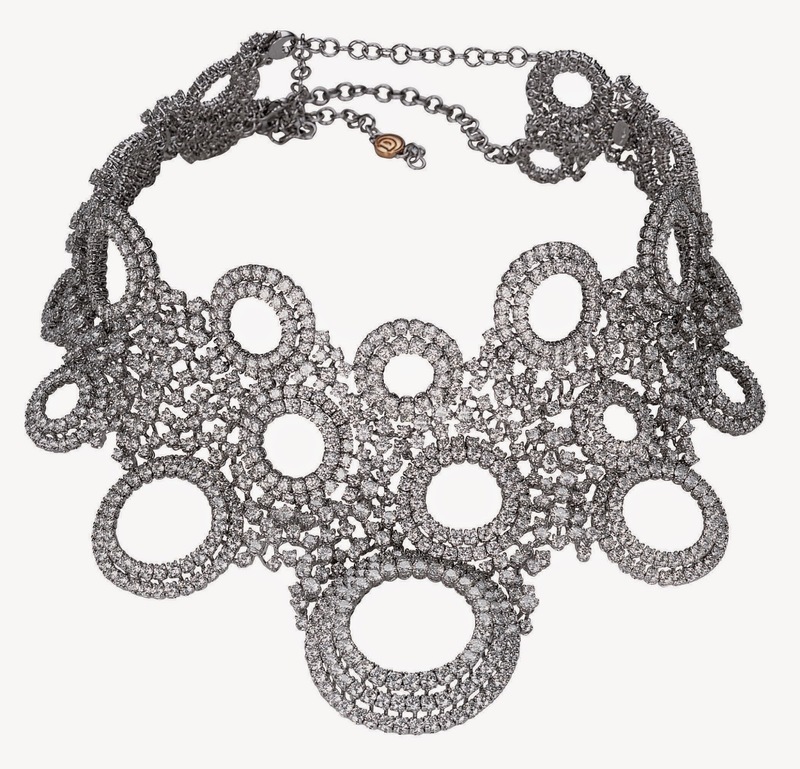 Watch and Jewellery Exhibition 2014 at Marina Bay Sands Singapore, Grand Colonnade South, Canal Level (Basement 2), The Shoppes welcomes all shoppers to visit from 15 to 24 August, 10am to 10pm.